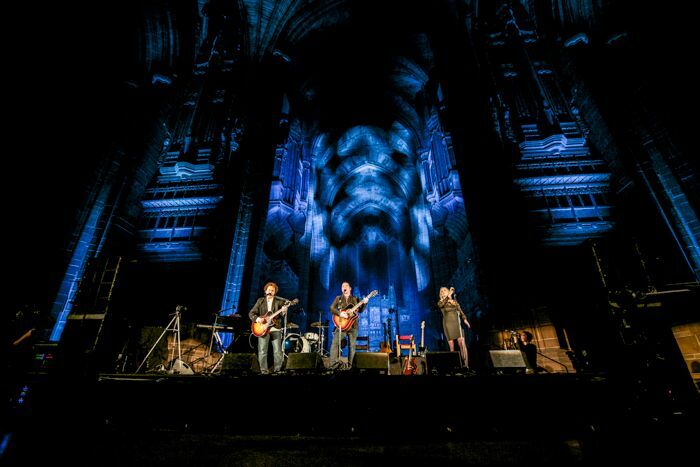 With their homecoming set at the Anglican Cathedral standing out as one of the year’s very best, Liverpool prog heroes Anathema have announced that the whole show will be available on DVD, Getintothis’ Will Neville has the details. Even against the high standards of previous years, 2015 has still felt like something special for the Merseyside live circuit. From Sound City‘s upsize seeing a similar leap in quality to the incendiary Sleaford Mods and KRS-One writing their names into Kazimier history with their respective rabble-rousing routines, we’ve seen our fair share of contenders already when it comes to culling them down to an end-of-year round-up. It says a lot, therefore, that Anathema‘s Anglican Cathedral set back in March will be the first name on a number of lists come December. It’s welcome news then that the band have now announced that the whole thing will be available on DVD to relive the magic. A Sort Of Homecoming, directed by Lasse Hoile, will be released in various formats on 30th October, recorded at the show which constituted part of their acoustic tour of cathedrals. Singer/Guitarist Vincent Cavanagh said: “I’m really happy that this night in particular has been preserved. 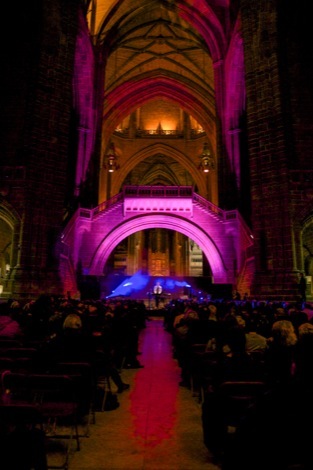 As anyone from Liverpool will tell you, to be given the chance to play the Anglican Cathedral is monumental and a huge honour. The place is absolutely huge. Just look at the cover, it was like doing a gig in Erebor! 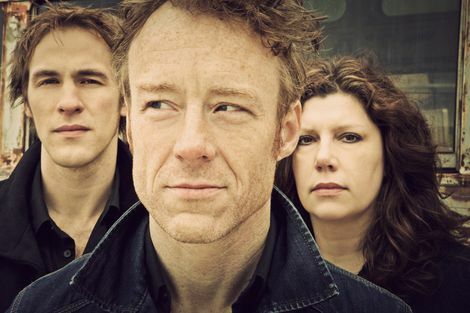 Getintothis also caught up with the charismatic frontman last year for an in-depth discussion of stand-up, abstract art and all things Liverpool. The 100-minute fifteen-song set is drawn from across their twenty year career, and is a sure-fire trip back to one of the year’s finest nights for those in attendance, and a tantalising glimpse of just what the rest of us missed.